Sometimes I just want a bowl of raw, fresh greens. It happens either when it’s warm out or just as a simple craving (remnants from my vegetarian past maybe), but this time it was a real need. Too much wheat in the week naturally leads me to a bowl of the opposite. There goes the wisdom of the body seeking balance on its own! The grilled chicken breast has its own story. This chicken lived a good life. It roamed around freely and ate worms, insects and grass and all the other things chickens eat. It hung out in the sun and got its feathers ruffled by the wind. It chased other chickens and got chased a bit, too. It was a happy chicken. The farmers who send us our CSA shipments seem like very happy farmers who love their jobs and their animals. So, when we get our whole chicken delivered, breaking it down is the next step and we feel like we’re participating in this whole, loving process of getting our food from the farm to our table. 1. Wash and dry chicken breasts, then generously season with salt. Add lemon juice and olive oil and lastly the Herbs de Provence. Let sit for at least an hour in the fridge. 2. Heat a stove-top grill (or a real one, by all means!) over med-high heat. Take chicken out and let sit at room temp for about 10 minutes before grilling. You’ll have to be the judge on time since there are so many X factors, but I grilled for about 12 minutes on one side, then about 10 on the other. (These chicken breasts also needed a bit of grill time on their sides which they got for a few minutes each.) Internal temps should be 165 degrees. 3. When done, cut chicken into strips and set aside. 1. Whisk all ingredients together until emulsified. Taste test with a bit of lettuce/greens and adjust accordingly. A bit of lemon juice may round things out a bit if you’re not sure what it needs. 2. Just before assembling salad, dress the greens in dressing reserving some for chicken at the end. 1. 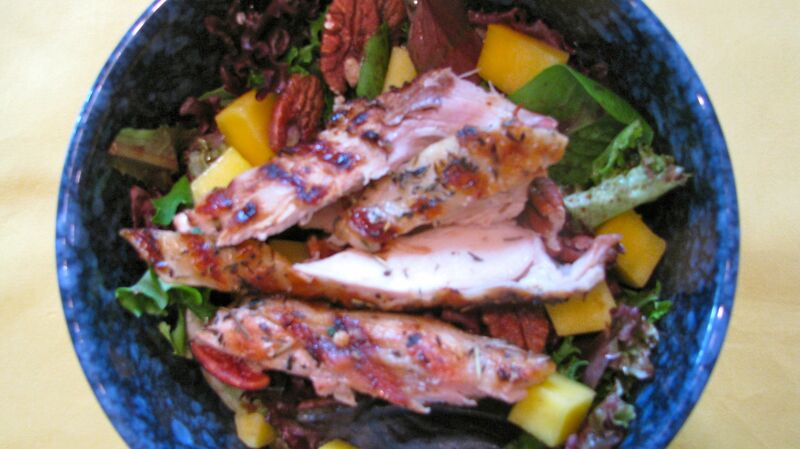 With dressed greens in bowls, top with mango, pecans and sunflower seeds. Lastly, top with chicken and IF you think it needs it, add more dressing. Yes, it’s a bold statement, but it’s so true. And it’s a great truth because it makes those expensive and intimidating mushrooms a bit more accessible. I wasn’t a mushroom lover. During my vegetarian years, mushrooms seemed like another meat substitute and I got tired of the ubiquitous portobello mushroom ‘burger’ pretty quickly. That’s the only way mushrooms were available. Then I moved to Japan and the mushroom world opened up to me…and it’s still unfolding today. Yet, no matter what mushroom I come across (no, I haven’t been foraging yet, but I can’t wait to get there someday), it seems that Julia Child and my friend, Sophia were right; sauté in a little butter, salt and pepper and YUM! 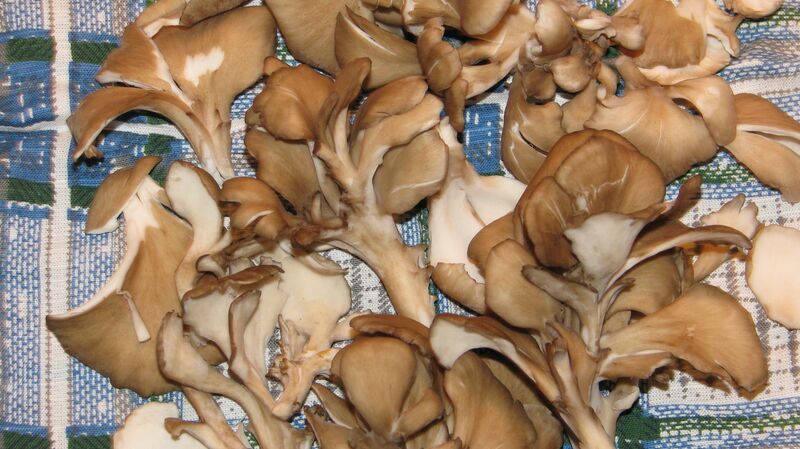 The health benefits of mushrooms in general are pretty much endless. I worked at a food conference once about food and cancer and the keynote speaker, a very progressive oncologist, talked about mushrooms. They are anti-inflammatory, immune boosting, some inhibit tumor growth, lower cholesterol, regulate blood sugar, lower blood pressure, protect against the effects of chemo and radiation. Maitakes are particularly full of Vitamins B and C and minerals zinc, iron, potassium, and selenium. They are thought to be the most immune boosting of the bunch. They are also potent anti-virals and amazing detoxifiers. After all that she says, if they really want to clean up the Gulf of Mexico (just after BP spill), dump a few tons of mushrooms into the gulf. They’ll take care of it. * Now that’s a bold statement! 1. Heat olive oil over low-medium heat in a sauté pan (I use a cast iron skillet for every step…there’s just something about it for this!) and add shallots. Add a pinch of salt and let caramelize. Stir often to not let them burn. It should take about 7 mins. Remove from pan. 2. To clean the mushrooms, just wipe them gently with a paper towel. With your fingers, take them apart (like string cheese…yikes, remember those days!). Add 1 T butter to the pan over low-medium heat and then add mushrooms, a good pinch of salt of pepper. Let cook and get slightly browned, about 10 mins. Remove from pan. 3. 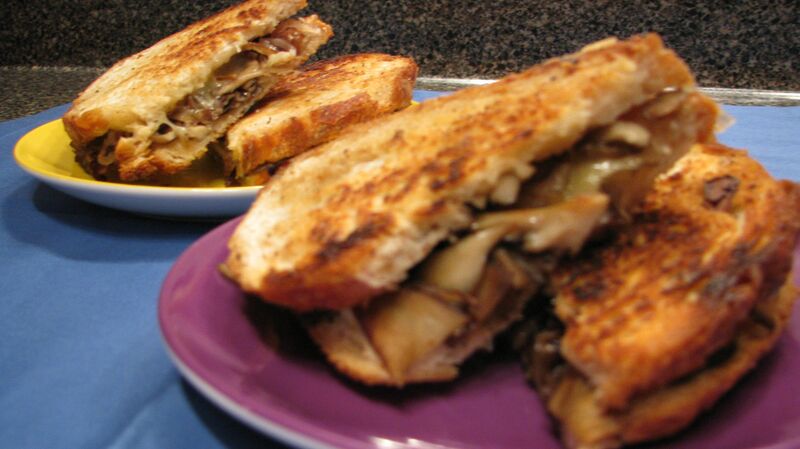 Assemble the sandwiches with a thin layer of cheese on the bottom, mushrooms, shallots and another thin layer of cheese on top. With remaining butter, grill sandwiches in pan. 4. To serve, top with chopped parsley. Snacks became an important part of my diet when I first got pregnant. It was the only way to quell the incessant nausea. It was relentless for about 17 weeks, after which I couldn’t complain because I was lucky to find 2nd trimester bliss where I know many women who felt ill throughout. The good news is that the worse you feel, the better it is for the baby growing inside! Knowing that bit of info was one thing that got me through it. This popcorn/trail mix was another! Corn has gotten a bad rap lately and it’s for good reason. Because we produce so much of it here, and it’s heavily subsidized, it sneaks it’s way into EVERYTHING we eat! It becomes our sugar, oil, starch, and animal feed, so that the burger (not the grass-fed one) you’re eating is also CORN! But, corn, in its whole form is full of wonderful health benefits. It is high in Vitamin C and manganese and is a great source of fiber. Fiber is essential for a healthy digestive system and plays a key role in leveling blood sugar too, particularly when combined with protein which corn is naturally high in. 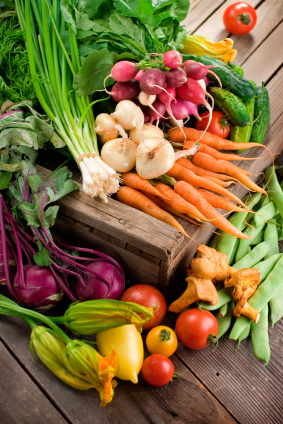 The different colors offer a wide range of antioxidant phytonutrients. That’s good news for our cardiovascular health. Ready for more good news! Drying corn, whether separated as kernels or still on the cob, doesn’t significantly lower the corn’s antioxidant potency. Traditional cultures such as the Native American tribes (in all Americas) relied heavily on dried corn throughout the cold winter. One need not look further than how traditional cultures prepared and ate their food. They were connected to the land that bore their food and understood it in a way that is lost upon us, as a whole, now. But rest assured, it is the most healthful and most delicious way to eat. If you have the chance to pick up some heirloom kernels, do so! They’re smaller and come in all those beautiful colors that will indeed up the gourmet-ante on this delicious snack. 1. 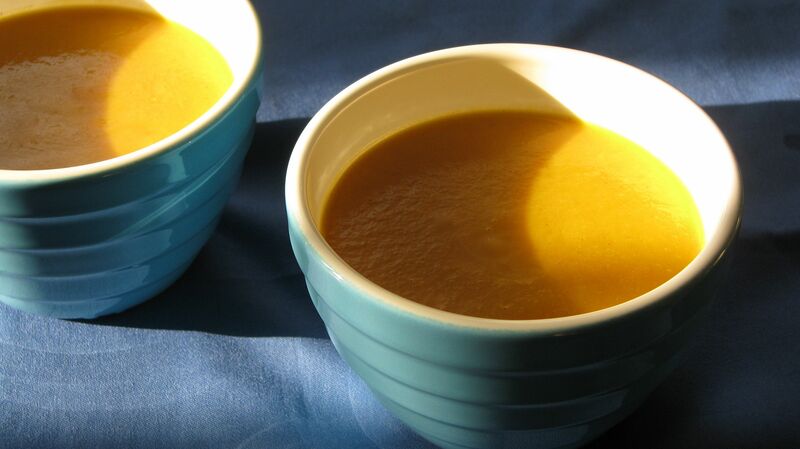 In a large (deep) stock or soup pot, heat coconut oil over medium-high heat. After a couple of minutes, drop 2-3 kernels in to test. 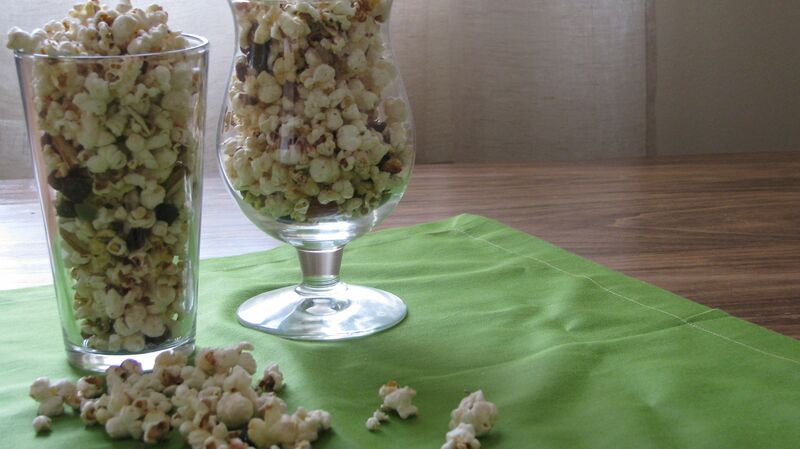 When they pop, take pot off the heat and add the full cup of kernels to cover bottom of pot in one layer. Add some sea salt and then bring back to medium heat. Keep partially covered. When you hear the popping, give the kernels a hand by shaking the pot back and forth a bit, to prevent any from burning. Keep this up till you have a nice full pot of fresh popped corn. 2. Spread the popcorn out on 1 or 2 sheet pans. Add nuts, pumpkin seeds and raisins. 3. In the pot, melt the butter and honey and add spices. Add this mixture to the popcorn mix and blend well. 4. Optional step: I sometimes (time permitting) throw these sheet pans into the oven at 350 for about 5 minutes just so that everything gets extra crispy. It’s not the end of the world if I don’t get to this step, but it does last longer and stays crispier. Just found this article – http://www.sciencedaily.com/releases/2012/03/120325173008.htm It talks about the antioxidant level in popcorn! Check it out! My journey to consuming animal protein began before culinary school, but being in school, studying food and being surrounded by a wonderful group of supportive people pushed me over the delicious edge. It was indeed love at first bite…after bite, after bite. I was surprised to feel more grounded, bolder and much more optimistic after just a few days of careful bites. I was somehow becoming a new me. I had been so concerned about the physical effects of eating or not-eating animal protein that I had forgotten about the very real emotional, mental and spiritual effects. Those were the first changes I noticed. Slowly my physical health also improved as my system was reaching more balance. 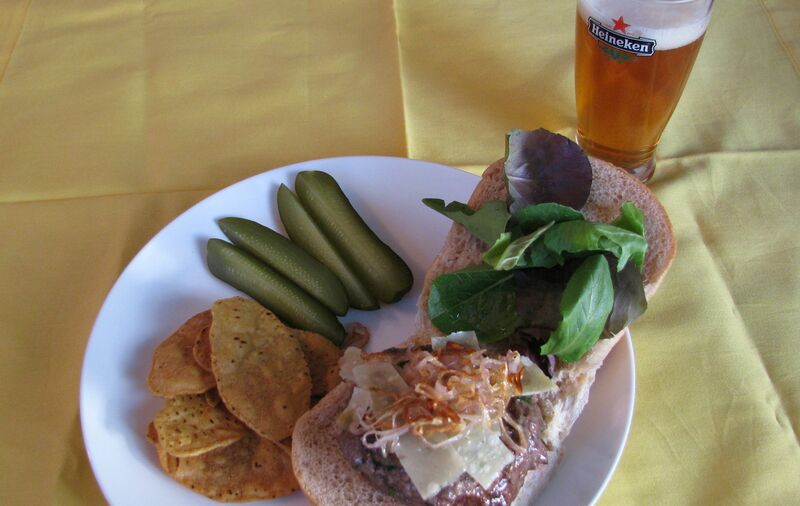 The grass-fed burger is so delicious you really don’t have to do much to it. And that’s the whole point of great cooking! Source the highest quality ingredients and let those flavors shine through! To quote Michael Pollan, “eating a grass-fed burger when you can picture the green pastures in which the animal grazed is a pleasure of another order, not a simple one, to be sure, but one based on knowledge rather than ignorance and gratitude rather than indifference.” You really can taste the pastures and the sun and the rain. It is quite sublime and you can’t help but feel a deep connection to the Earth and a deep respect and gratitude for the animals raised for our consumption and the farmers who love and tend to them. Nutritionally, grass-fed burgers are superior in every sense of the word. Grass-fed beef is free of growth hormones, antibiotics, pesticides, stress, sickness! It is much higher in Omega 3 fatty-acids (think brain and heart food,) than its grain-fed counterparts. It is high in Vitamin E and abundant in CLA or conjugated linoleic acid, which may be one of the greatest defenses we have against cancer. Grass-fed beef is often lean so it is lower in fat and calories and can actually reduce LDL cholesterol levels. Being an omnivore again is good! For more information on local and grass-fed meats, please visit www.eatwild.com. 2. In a small sauté pan, heat oil and caramelize shallots until crispy and golden in color. 3. To cook burgers; this is a tough one since it’s more of an art than a science since there are so many X factors that affect it. On our stove-top cast iron “grill”, I (or my husband more commonly!) usually cook for about 4-5 minutes on the first side until it looks like the meat is being cooked through. Flip it over and cook for 3-4 minutes. This should produce a lovely medium burger. 4. Dress it up! We added Parmigiano and shallots this time and it was a winning combo. So much so that it will be repeated in our kitchen! Add some fresh greens and a pickle on the side. P.S. By getting your meat from a local farm, not only are you ensuring a million health and planet and animal and farmer benefits, but you’re also guaranteeing that your yummy burger came from 1 cow, not various parts of various cows from Texas, Virginia, Argentina, just to name a few places…oh, and no pink slime either, thank you! Sometimes there’s nothing better than a warm bowl of oatmeal in the morning. There are a million different way to dress up oatmeal, but this is an easy and delicious way. It’s also one of my favorite. Oh, and regular organic milk works beautifully in this recipe, too. 1. Place oats with soaking water, coconut milk, dried fruit and spices in a small sauce pan, bring to a boil then reduce heat to low and simmer partially covered until oats are tender and oatmeal looks creamy, about 20-30min. 2. 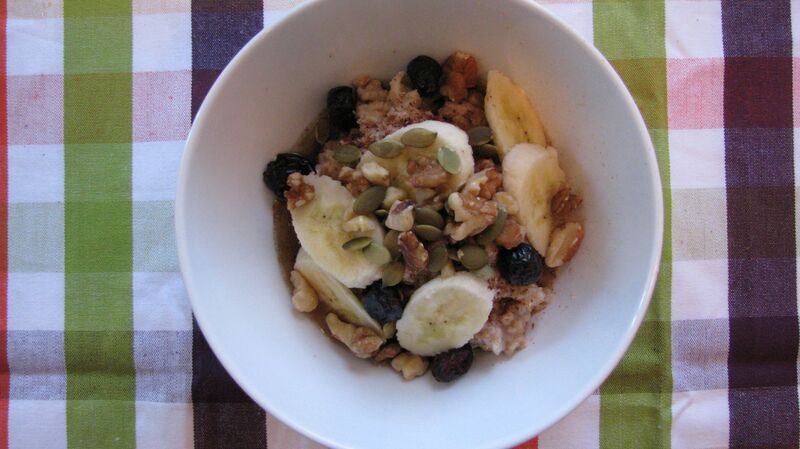 When oatmeal is creamy, stir in flaxseeds or chia seeds and vanilla if using. 3. Dress each serving individually, placing ½ cup of oatmeal in a bowl and top with nuts, a dash of cinnamon and 1t maple syrup. Note: For variations, use fresh fruit such as bananas or berries instead of dried fruit. Add 1T almond or cashew butter. There are no limits to how you can play with oatmeal!